No idea how this is getting heat. As others have mentioned above, it's a bad deal. If you can touchtype it’s not the worst thing ever but it does hamper resell value in the future by 10-20% over a UK machine of same spec in my opinion. I would agree that’s fair enough too - this laptop (in this deal) doesn’t seem that good value, other than a big SSD (which are cheap now anyway) and a good display, it’s also got an older dual-core CPU (which I wouldn’t advise buying now unless really cheap or a specialist machine) and more annoyingly a non-UK keyboard - so you need to touch type, replace it or get stickers to go on the keys. Personally I’d only take a non-UK keyboard if I’m getting a substantial discount and I’m not with this laptop. 320 series is quite chunky and thick, ideal for the developing world on a price - product basis but not so nice here! There have been numerous versions posted here over the last few weeks. I think you can get the 14" model new with the AMD A6 9XXX CPU for £199. I'm guessing it's the thought of a poor experience of Windows 10 on a low spec machine. 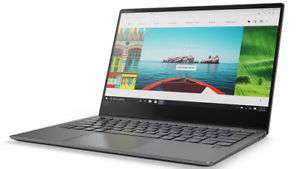 If Box.co.uk go OOS, do try Lenovo direct which currently has stock of same item at same price. Where did you get the info that this is a today only deal - cannot see it. The £499 HP looks decent on paper - just a 14 inch version of the JL 15 inch one I suspect. The other HP is an old chip. The Lenovos have, as I said, dire batteries. fair enough. but the HPs have 3-cell with a good battery life. It might be a cold deal but can someone explain whats am I missing. Even i'm planning to buy one of these or THIS. Today only - quick, rush out and buy!!! 2 cell batteries on those lenovos looks dire. Ryzen will run all windows programmes wont it? Don't think the acer has backlit keyboard. The Lenovo one should do though. In fact Lenovo are looking like the best bet for low price with backlit keyboard. Terrible price. 7th gen processor for £450? Single channel memory aswell so this thing will chug compared to anything remotely more modern (like an 8250u, or even the 8130u) No idea how this got this much heat. 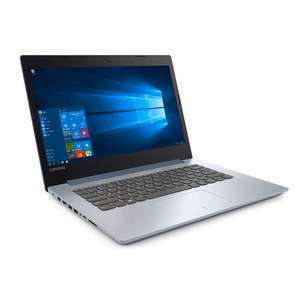 I'm wanting a fairly basic laptop, but would like Full HD screen, SSD and backlit keyboard. I'm struggling to find a reasonable laptop with a backlit keyboard......then I see this deal. But when I click through, it has a red "x" next to Backlit keyboard. Where did you get the specs that show that it does have a backlit keyboard? I stand by both comments. Yeah your first comment said cold because of the 64gb eMMC then when asked to explain you came up with some nonsense about it being pointless due to the size - then when challenged about that you moved onto say it's because it might fail. Enough of your nonsense! I voted cold because of the eMMC and the 64GB. Read my first comment! Well first of all you voted cold as the 64gb wasn't big enough - making it "a pretty pointless machine". Now it's because it might fail? Rather than accept it's not cold, you're clutching at straws! 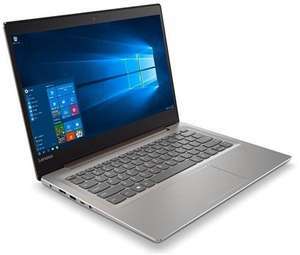 btw - the laptop comes with a 1 year warranty, which can be upgraded to 3 years with Lenovo for just £20.30. Apologises , Although it showed it in the picture the spec listed on eBay didn't. The most common failure on any computer/laptop. Its the storage device, Yet this one can't replaced as it's soldered to the motherboard. If it was replaceable it would be ok as it gives you option for future upgrades. 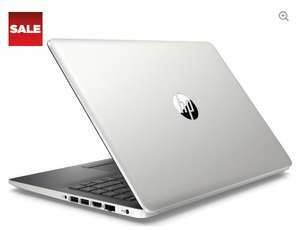 Says latest processor and 8GB ram..not a tech guru but think its good for the price!? Was £255 last week, add a 2.5" SSD and still was under £300. But is is only 299. Processor poor compared to other deal with similar prices. Been looking for lower/mid range laptop but appalled at their specs mismatch. One has good processor with bad Graphics card but FHD screen the other good graphics card with poor display etc nothing makes sense and are plagued with bottlenecks let aside other parts that are not listed however small can have mayor effect. As these packages don't seam to have been thought for properly and rest assured that this will be the case. Are their junior sales assistants are putting them together LOL Seeing all this I have no confidence on buying one. Where can I get one for £309? Shame that CPU is rubbish in a laptop, rather get the 399 R5-2500U which smashes the i5-7200u. John Lewis can kiss my rear end because of their rediculous prices. According to the service manual this laptop only has 1 x SSD capable m.2 slot, which is currently used my the 16GB Intel Optane Memory module. Never miss a 'Lenovo Laptop' deal again! True, things like video watching / streaming, drawing, web browsing etc. will be fine. Though even light gaming is pretty much impossible and I wouldn't even bother trying. Biggest issue I can see right now is 4GB of RAM. It's just about enough for what I mentioned above, but in the future it will definitely be bogged down with background applications. Yes I myself am not sold on the 2 in 1 form factor but I suppose it's ideal for a majority of use being light recreational use. Light gaming yes, the only game I've played on it is Star Trek Online and it will play it acceptably at 1080p with just above low settings, all those games are older so I would wager they will all play better, when it's working hard you can hear the fan working but at all other times it's silent. It's roughly £50 for one stick retail but on trade I can get it around £20 brand new. Oh yeah it's definitely worth it but there's a mental limit on how much we want to spend. From the looks of it the bezel is smaller on the 530, it's probably thinner and lighter too. I don't expect there to be much else apart from the fingerprint reader and better battery management. Very happy with this laptop, though it took a bunch of phone calls to very since they messed up with the cashback - I was outright lied to by two different customer service employees (finally got it sorted!). But if willing to take the risk, laptop's very good for the money. I've been looking around the forums and while the manual says 8GB is maximum but the memory controller is in the CPU and it supports up to 64GB. One guy on the forums researched it and you could find a compatible 16GB stick that should work just fine. Remember, it has only one ram slot unfortunately. Searching Google with the MPN (81BN000HUK), other sites specify it as 8th gen so I'm guessing the 7th gen in description is a typo. Sorely tempted by this, ideally wanted these specs in 13" (ish) screen. You don’t have to pay anything upfront. You are opening a credit account with Very. The £529.99 will go onto your credit account with Buy Now Pay Later of 9 months. Wait until Very credit the £100 (by October) and then you will have £429.99 to pay. As long as that is paid off within 9 months from purchase it is interest free. Once you have paid you can close your credit account. Appears to be out of stock now?! Seen this, it gives a phone number though, anyone tried ringing it up? Very true, but it's still faster than what most companies are trying to sell you at this price point with the added bonus for Iris Graphics! I've spent a couple of hours on the phone trying to fix the issues, had to pay several bills online or on the phone as online payment system down. I've also had additional charges levied due to non payment. I've been pushing for compensation recently as I've had enough with the issues, DD isn't this difficult. JL did confirm they were changing their payment system and also asked me to prove I had paid August bill twice as they couldn't check payments - this did not sit well! Good luck, I feel the end is nigh for me (one way or another). Laptop and £65 cashback received though DD still not working, anyone else had direct debit issues? too slow for video editing mate especially 4k. Don't get me wrong it's a splendid deal overall ! Yeah,its a fantastic machine for the price,also you get pretty decent accesories too,and a good monitor. Make sure you use this code to get 150£ off (SAVE150UK).Offer ends midnight. Theoretically it's locked but actually it's not. I have ASRock motherboard and there are few official bioses on ASRock website (could be in beta section now) with possibility to overclock locked skylake processors via bclk. As far as I know every motherboard manufacturer at the time being had this possibility with the older version of bios. But what about the vibrations? Still three of these left so decided it was worth adding a comment still. Mine arrived with free next day delivery using code FREE200. Delighted with the machine - really so happy with it. Added an SSD because I had one spare from an old Xbox One setup and that has made a big difference to boot speed etc. Gaming is better than expected - GTA V with settings at max 1080p resolution is holding 60FPS without any bother. Someone earlier on the thread said this had DDR3 - incorrect, it has a single 8gb 2133 DDR4 ram module with three empty slots for upgrade. Case is smart enough and seems to stay cool and quiet. Heat and recommended if this is the kind of mid price gaming machine you’re after. Cheapest 6GB GTX 1060 card on sale in the UK today is £329. To get a whole system out for £320 more, off the shelf, with a guarantee? I like it, I bought one. Delivered tomorrow. Thanks for posting, mine arrived today (pretty massive case). Took over an hour to download and install updates which seemed a lot longer than it probably was. Could really do with adding some extra memory and a SSD in here.. definitely something I will be doing in the coming weeks! but but but its 4k! and has kodi! and its 4k! and its worlds most powerful console! it has lots of games coming out! soon, coming soon, games coming soon, stream tv! tv! tv! new tv apps!! You can get all of the Xbox One exclusives on this and they will play better. Easy choice.